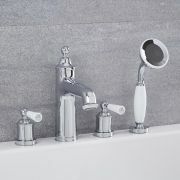 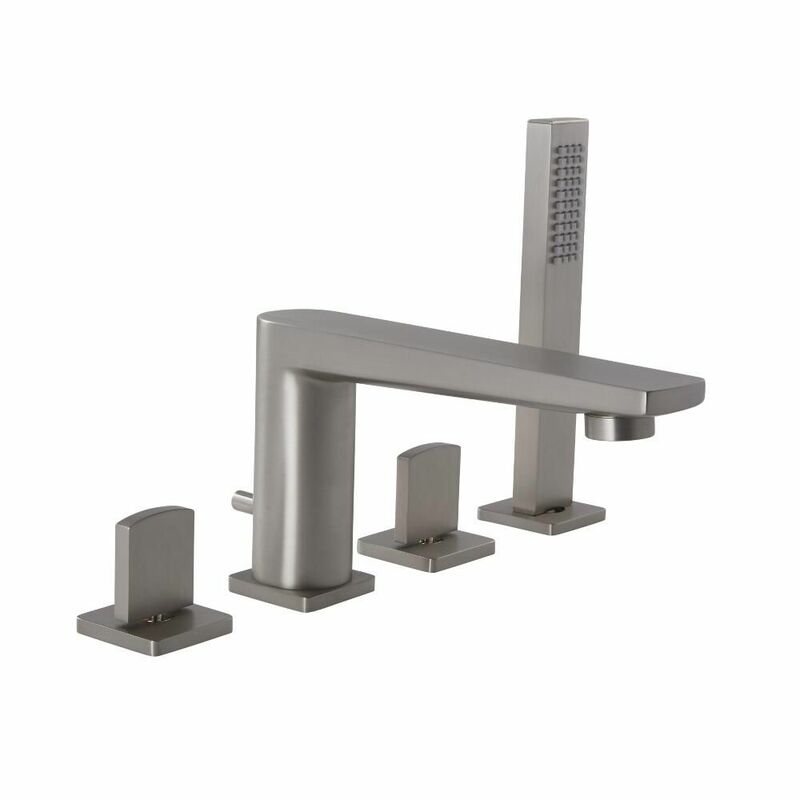 Deliver a touch of designer style to any bathroom area with this Arcadia Roman tub faucet with hand shower. 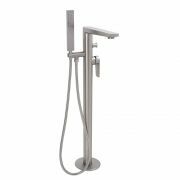 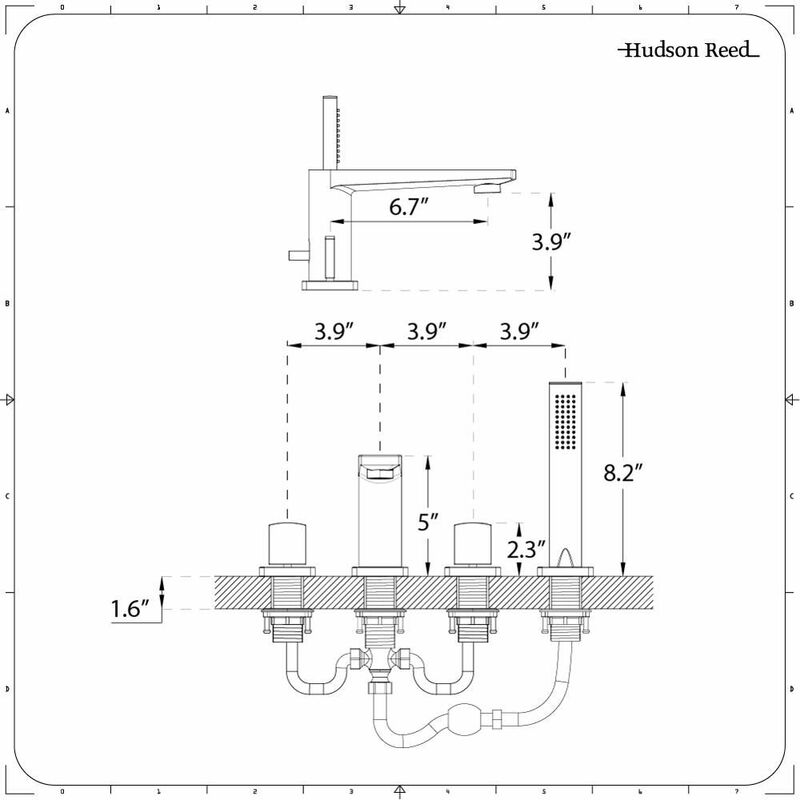 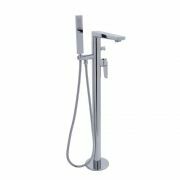 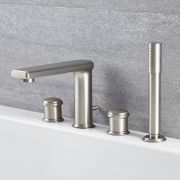 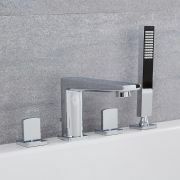 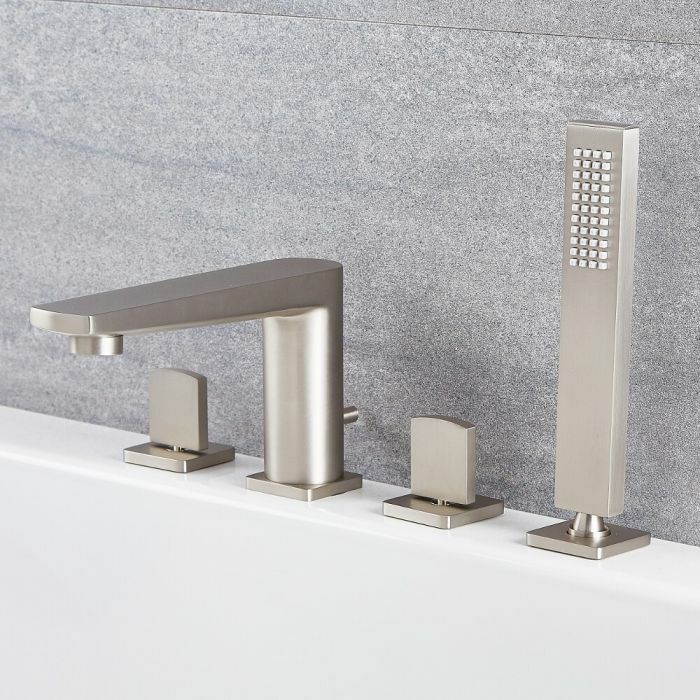 Supplied complete with the shower kit, the tub/shower mixer faucet sports a contemporary design and a brushed nickel finish. 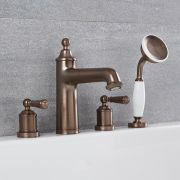 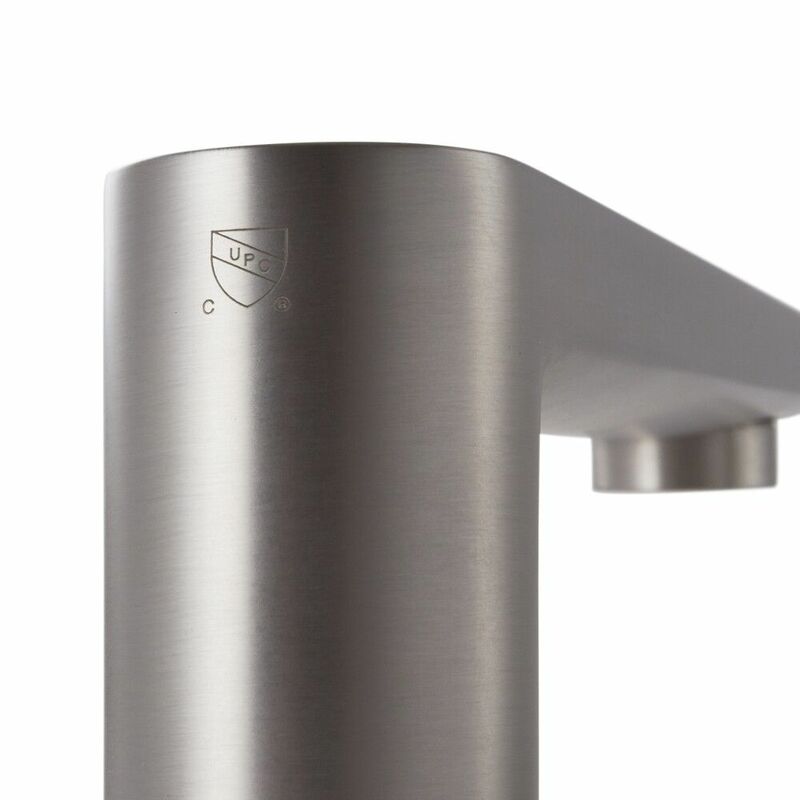 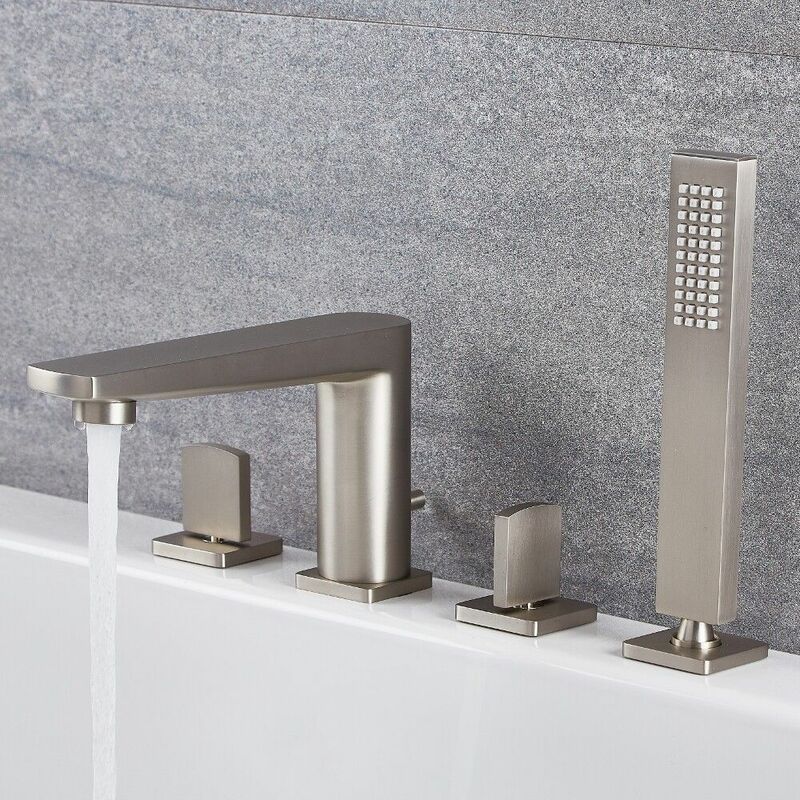 With a solid brass construction ensuring impressive durability, the bath tap utilizes ceramic disc technology for the prevention of leaks and drips.